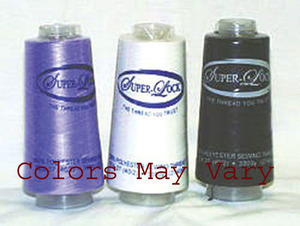 For sergers, Use neutrals on the loopers and matching fabric colors on the needle, which is the only thread that might show from the right side of the garment. Assortment can include duplicate colors, depending on inventory changes. Very happy with service and shipping speed. When I had a problem your staff took great care in fixing it the way I needed. That means a lot! Great customer service and delivery time!